Want to know more about the latest and the greatest in Diggers or Excavators? Then sign up to Mainline Track’s exclusive VIP List and we’ll let you know all the deals before the rest of the market knows. Since we’re going to be meeting a lot of you at THE EXPO, in Hamilton on 2-4 March, we have a special treat for our VIP’s. Anyone who has signed up to our VIP list is automatically in the draw for a Mainline Fishing Buddy, which sells for $499. Attach it to your trace and you can watch the fish strike the bait. Or lower it to check out the bottom, and make sure there are fish in the area. And if you take your kids along for the trip, it’ll keep them entertained for hours exploring the undersea world while you wait for that elusive run. 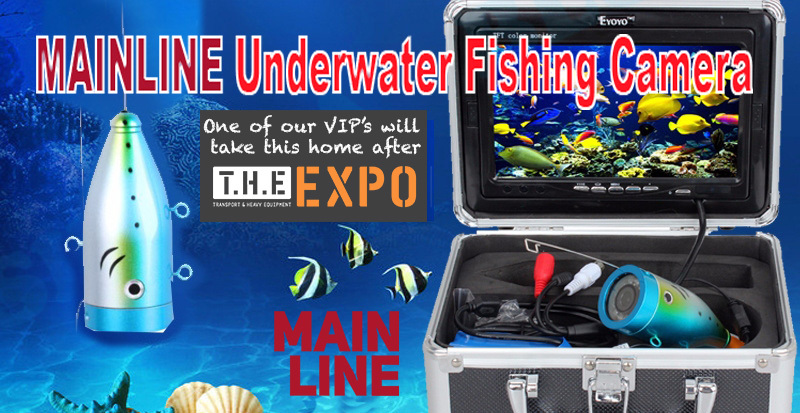 Remember, this Mainline Underwater Fishing Camera could be yours at the end of the show, simply by signing up as a Mainline VIP. Just follow the image below and you’re almost done!